A troupe of semi-naked performers covered in red body paint danced around the Messeplatz by the entrance to Art Basel as visitors and collectors began to gather for yesterday’s vernissage at 4pm. But the Swiss police were quick to react, moving the unclad group along as they covered their modesty in gold reflective blankets. “The police said we can’t do it,” said one of the few clothed members, who was handing out leaflets with phrases including “make love”. 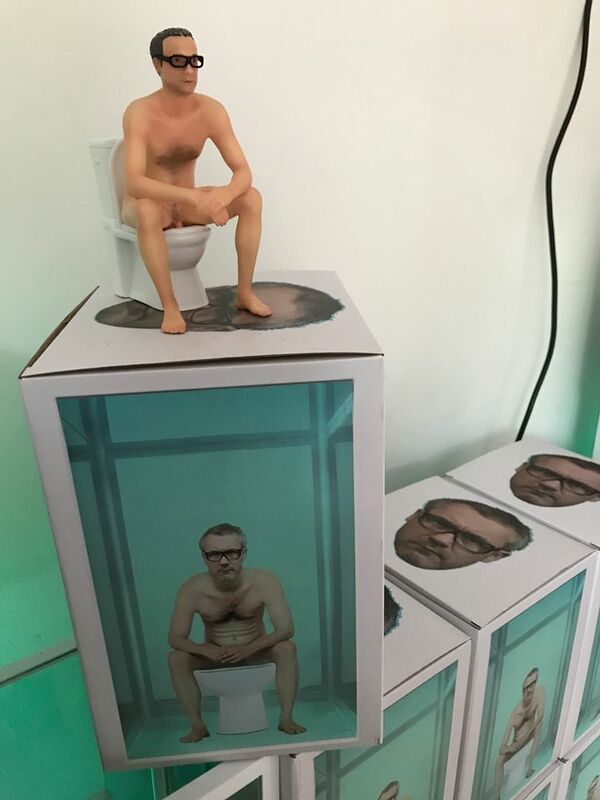 The performance didn’t last long and was not connected with the Basilea installation currently dominating the space outside the fair. “I think it was something spiritual,” said one of the Art Basel guides nearby. The crowd seemed nonplussed, with most visitors concentrating on the matter at hand—getting into the fair to see the really explicit material. It can be hard enough to stave off the ravages of time with paper or canvas. But what do you do when the work is alive? 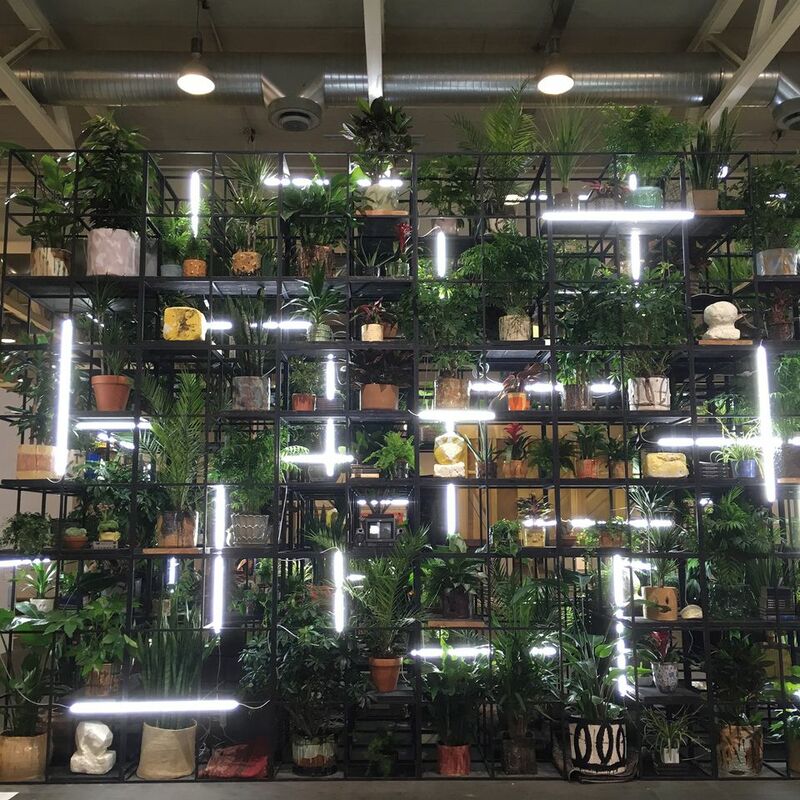 Visitors to the Unlimited section of the fair will hear piano music coming from Rashid Johnson’s installation Antoine’s Organ (2016) when the work is “activated” by the pianist Antoine Baldwin, who is hidden behind shelves of house plants, books and shea butter. If a collector or museum shells out $950,000, the structure will be supplemented by “typical house plants sourced locally”, says a spokeswoman for Hauser & Wirth gallery, which represents the artist. And will they have to adopt Baldwin, too? Although the work is named after the classically trained pianist, “it can be activated by any musician”, the spokeswoman explains, though she was unable to reveal the ability level required. Perhaps best to just find a gardener who is partial to a tinkle on the ivories. Where does the director of the world’s biggest art fair chill out after VIP day? Perhaps he swishes champagne and slurps raw fish canapés at the Audemars Piguet Semiconductor opening? Or downs an Aperol Spritz at the Kunsthalle bar? No. Marc Spiegler was spotted lighting up the dancefloor at the trendiest party in town, hosted by 11 of Liste art fair’s hottest galleries, including Berlin’s Dan Gunn, New York’s Lomex, Glasgow’s Koppe Astner and London’s Arcadia Missa. As Spiegler threw shapes in the cabaret-like Balz bar, surrounded by young artists and gallerists as well as some of London’s top talent spotters—such as Sarah McCrory, the director of the soon-to-open Goldsmiths CCA, and Simon Parris, the head of programme at the South London Gallery—one reveller remarked that it was like a “recreation of Peckham in here”, referring to the trendy south London area. “Except no bar in Peckham has lightbulbs on its ceiling like this,” she added. 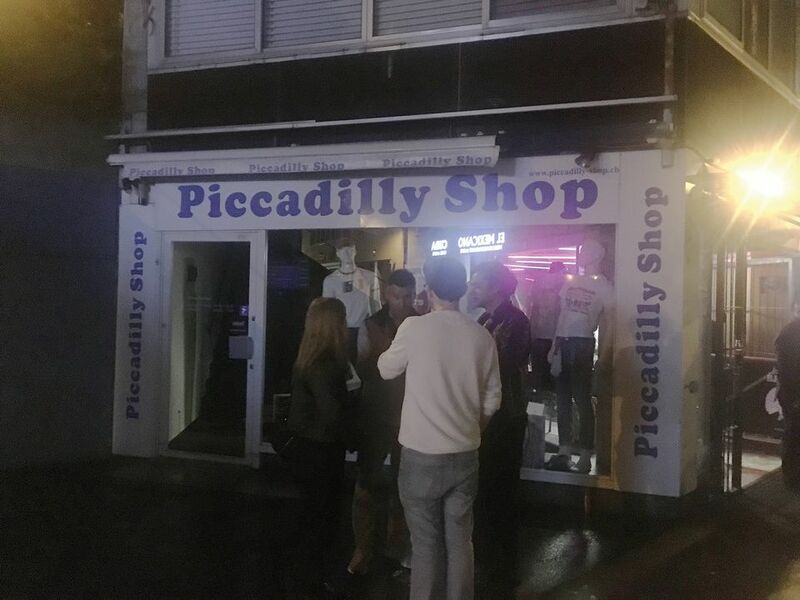 And with people spilling onto the street, drinking and smoking outside the retailer next door called Piccadilly Shop, it really felt like a little bit of London in Basel. The giant cuddly animals created by the designer Porky Hefer at the shared stand of the Leonardo DiCaprio Foundation, Southern Guild and SFA Advisory in Design Miami/Basel have been turning even the hardest of collectors and dealers into big kids. People’s “faces light up” and they seem to “lose control”, says Lezanne van Heerden, the director of Southern Guild Gallery, which represents Hefer. One suited-and-booted visitor at the VIP opening just “flung himself onto” a giant polar bear. The cute critters, commissioned by the foundation to draw attention to their endangered status, were the subject of a talk this week chaired by Design Miami’s chief creative officer, Rodman Primack. But the question on everyone’s mind was whether Porky Hefer was the designer’s real name. “Hefer is my real surname,” the designer discloses, before admitting his brother gave him the nickname “Porky”: “He called me every fat name in the book.